This week on the blog we are featuring an article from a past issue of the journal as part of our “From the Archive” series. In this highlight, we explore “Exposure and Exclusion: Disenfranchised Biological Citizenship among the First-Generation Korean Americans” by Taewoo Kim, Charlotte Haney, and Janis Faye Hutchinson, available here. This article was featured in Volume 36, Issue 4 (December 2012). In the midst of an uncertain future of health insurance in the United States, it is important to reflect on how larger social systems affect individual experiences of health and illness. 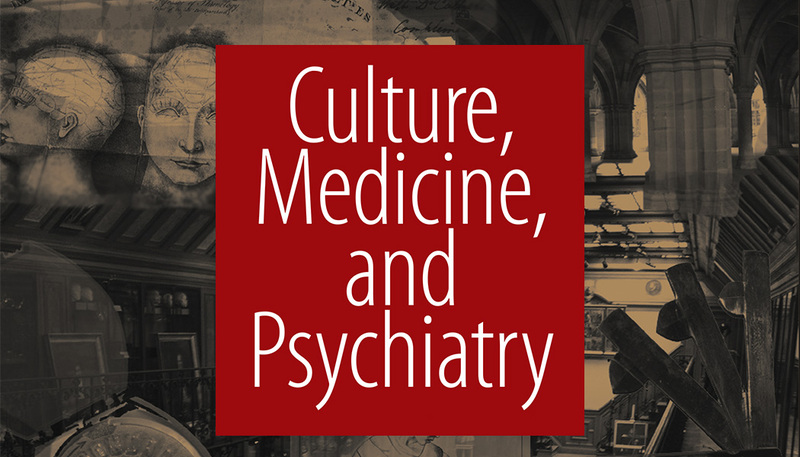 Our contributing authors at Culture, Medicine, and Psychiatry frequently express the need for ethnographic approaches to healthcare analysis. In this article, the authors documented how the healthcare system in the United States in 2012 disenfranchised those of marginal health insurance status. Based on fieldwork with a highly uninsured and underinsured Korean American population, the authors argued that the vulnerability of these disenfranchised biological citizens is compounded through exposure to health risks and exclusion from essential healthcare. According to the authors, the ﬁrst-generation Korean Americans interviewed faced the double burden of increased health risks from long, stressful work hours and lack of access to healthcare due to the prohibitive costs of health insurance for small business owners. Even as their health needs became critical, their insurance status and costly medical bills discouraged them from visiting healthcare institutions. Based on a multi-sited ethnography of Korean–American communities in Houston, Texas, and Los Angeles, California, this study attempted to describe the condition of marginal insurance in the United States. The authors trace health risks among Korean Americans from “daily life to life in crisis.” By mapping the connections from an unequal social structure where risks are unevenly distributed, to the disproportionate prevalence of disease, the authors discuss the impact of inequality on the bodies of the disenfranchised population. The authors build off of Nikolas Rose’s term biological citizen, defined as encompassing “all those citizenship projects that have linked their conceptions of citizens to beliefs about the biological existence of human beings.” The authors argued that their participants were left out of such developments and strategies due to the participants’ place in the employment structure and healthcare payment schemes. The high concentration of small business owners among the ﬁrst-generation Korean Americans led to long work hours in risk-laden conditions as well as high rates of marginal insurance driven by sky-rocketing private health insurance costs. These risks were compounded by limited access to appropriate preventive measures and medical intervention. This combination of exposure to precarious working conditions and exclusion from healthcare increases Korean Americans’ vulnerability, particularly to chronic illnesses including hypertension, high blood cholesterol, diabetes, and heart disease. These conditions are the bio-devaluation that results from biological disenfranchisement. Through detailed ethnographic research with uninsured and underinsured Korean Americans working in family-run businesses, the article focused on the daily practice of “doing-without-health,” pushing the discussion of barriers to healthcare-seeking toward an examination of how those barriers cultivate subjectivities of disenfranchised biological citizenship. The authors also describe how such disenfranchisement multiplies the participants’ vulnerabilities by exposing them to disproportionate health risks and excluding them from essential care. First, the authors examined the daily-lived experience of risk exposure. Social and economic contexts of risk included the uneven distribution of economic activities and opportunities that Korean Americans face after immigration. The authors discussed several circumstances which contributed to social and economic risks, such as institutional barriers which disregarded educational attainments and professional experiences in South Korea, linguistic barriers, already difficult and stratified economics in the United States, stressed relationships with the surrounding communities, and fear of robbery and theft. These factors exposed the Korean American participants to health risks, such as overwork and stress, on a daily basis. Second, the authors discussed how exclusion from care operated within the studied community settings. Uninsured and underinsured participants experienced discouragement from using healthcare services. A long-term uninsured status and widely circulated stories of ﬁnancially devastating medical bills create a distance between Korean Americans and healthcare institutions. Underinsured participants similarly encountered healthcare discouragement through high out-of-pocket costs. With tight budgets, underinsured participants feared the high cost of medical care and avoided visiting doctors. Combined, these factors illuminated the embodiment of the social inequality among uninsured and underinsured Korean Americans; the authors linked exposure to health risks and exclusion from healthcare. Through an ethnographic examination of the daily practice of “doing-without-health” among a marginalized sub-group in society, the authors articulated how disenfranchised biological citizenship goes beyond creating institutional barriers to healthcare and shaping subjectivities of the disenfranchised.